With March one day away, I think it's officially safe to say that spring is just around the corner. Sure, the weather is being stubborn at this particular point in time, but the spring product at Shopbop sure isn't. I have personally been stalking the new arrivals section (and every section) at Shopbop for the exciting spring buys that are now officially shoppable, and let me tell you—it's good. 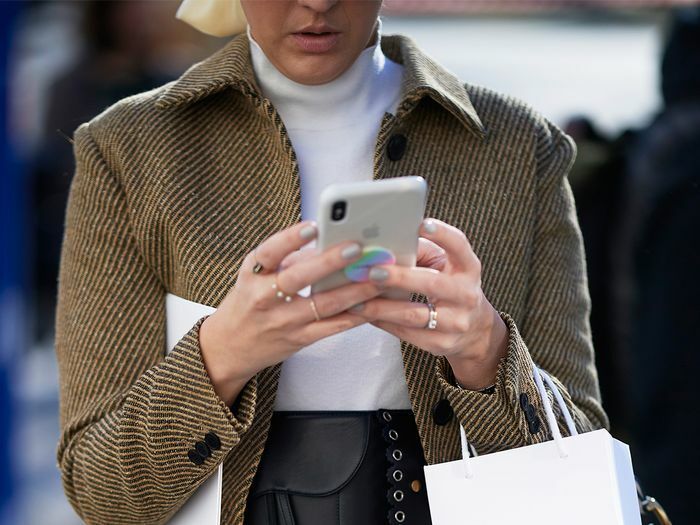 One of the things I love about Shopbop is that it works very closely with influencers and editors in a myriad of ways, meaning the product you see on its site is also the product you're bound to see everywhere from Instagram to the streets. A high-influence retailer it is, let me tell you. Ahead, I've rounded up the under-$200 (because I like you guys) products I think will eventually develop a cult following this spring. Underneath each of the 11 products I selected, I gave you my reasoning because, no, I don't just think these items are "cute" (but, like, they are). 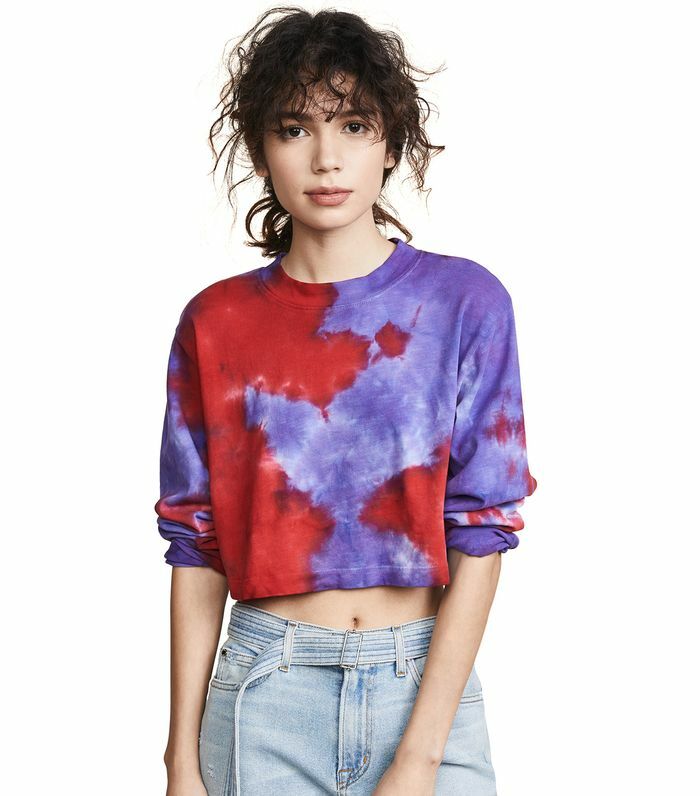 With the rise of tie-dye this season, and the fact that we already saw this top plenty during fashion month, this will be an automatic go-to when trying to test the style. Bucket hats are here to stay for spring, and this sateen version from Phillip Lim is offering all the cool vibes other bucket hats aren't. When it comes to Ganni, there are always multiple cult favorites that rise up each season, but this ruffle leopard crop is one I have a feeling will be all over Instagram. Dr. Martens are no longer a trend—they are officially part of our everyday wardrobes. This Chelsea boot version feels fresh, and after seeing so many similar styles on the F/W19 runways, these are a sure-fire win. That's right—swim season is right around the corner, and we'd be naive to think Solid & Striped won't have a cult-status moment. I'm personally placing all bets on this one. Yes, this is $7 over the budget for this story, but that little 'J' was too precious to pass up. There is no speed bump in site when it comes to the wildfire that is Jacquemus, so something like this mini bag at a generally approachable price point is going to really take off. This just in: Zebra is the new leopard print and fashion girls are already catching on to the news. Easy-to-wear pieces like this midi dress will sell like hotcakes at every price point, but especially at one that's under $200. Staud is another contemporary brand, like Ganni, that generates cult-status with nearly every product it puts out. I've already seen this pastel color combo on influencers and this particular top on editors. This is a combination of massive success if you ask me. Square toes are another huge footwear trend we are anticipating for spring 2019, and thanks to Jeffrey Campbell, you don't have to spend a million dollars to partake. Everything from the low heel to the sleek silhouette of this particular pair makes these oh-so approachable. Last but not least, we have this peasant top. Filled with ruching and puffy sleeves galore, this is the kind of top everyone will want to pair with jeans this spring for a quick and easy outfit idea. Next up, find out what eight New Yorkers had to say about the secret ways they save time and money while shopping.